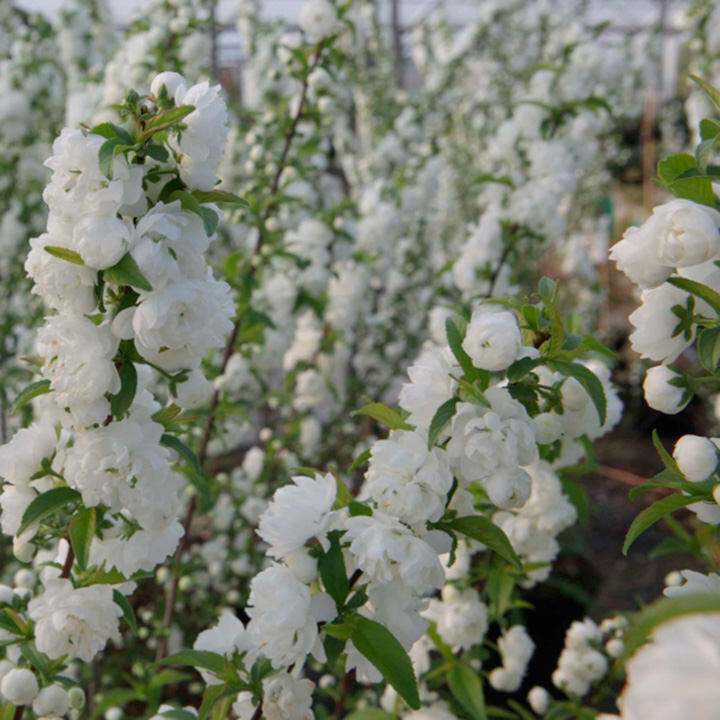 Prunus Alba Plena is an ornamental cherry tree that can be grown in almost any garden, height and spread of up to 1.5m (5'). The spring cherry blossom is a beloved sight as this does not disappoint with pure white double pompon-like blooms that will also attract bees. Ideal for the smaler garden it can be grown as a specimen tree in a pot on the patio or trained to grow against a wall. Supplied in a 7.5-10 litre pot.